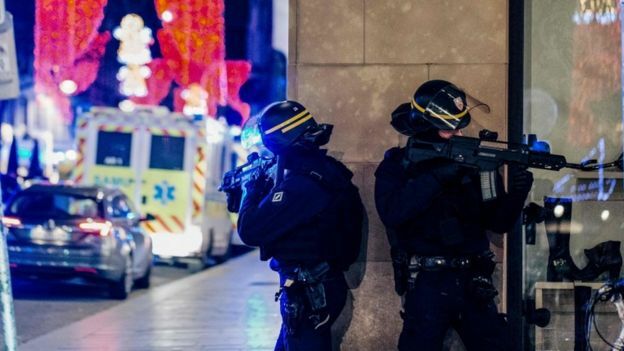 The Strasbourg gunman yelled «Allahu Akbar» («God is greatest» in Arabic) as he opened fire on people enjoying an evening out at a Christmas market, the Paris public prosecutor told reporters. Rémy Heitz said two people had been killed and one left brain-dead after the attack in the eastern French city on Tuesday. 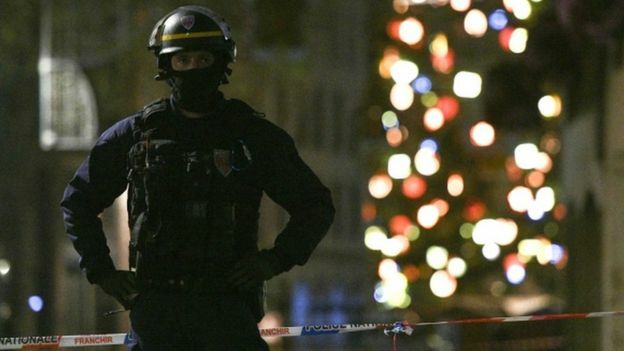 The man, named by local media as Chérif Chekatt, was known to authorities as having been radicalised in prison. Hundreds of officers are currently involved in the search for the gunman. France’s Deputy Interior Minister Laurent Nuñez earlier acknowledged he may no longer be in France. Interior Minister Christophe Castaner said the country had moved to a high level of alert, expanding police powers and increasing vigilance. According to Mr Heitz, as he fled he came into contact with four soldiers. He began firing at them and they fired back, apparently injuring him. 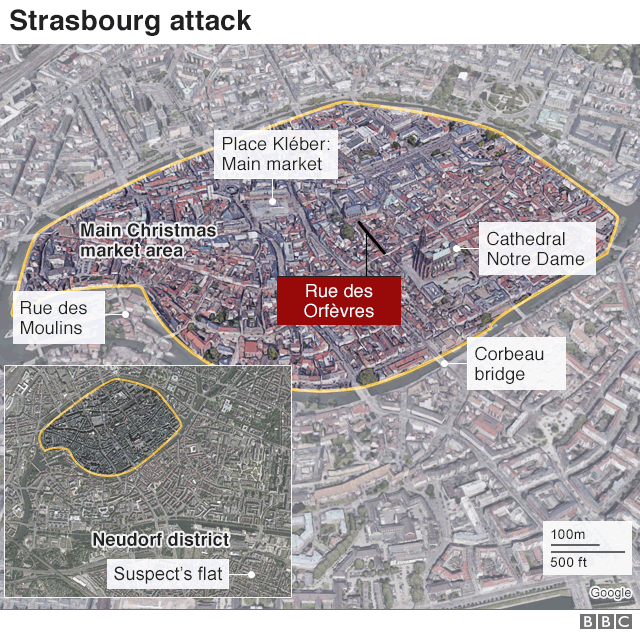 According to police – who refer to him as Chérif C – the gunman was born in Strasbourg and was already known to the security services as a possible terrorist threat. He was the subject of a «fiche S», a watchlist of people who represent a potential threat to national security. He also had 27 convictions spanning across France, Germany and Switzerland, and has spent considerable time in prison as a result. However Mr Nuñez said his crimes had never been terrorism-related. But, he added, it was during one period in prison that he was indentified as having become radicalised. «The fact he was a ‘fiche S’ did not pre-judge his level of dangerousness,» Mr Nuñez told France Inter. A search of his home revealed a grenade, a rifle, four knives, two of which were hunting knives, and ammunition. The lines of wooden huts are all shuttered. The owner of one told us how he had to flee when he heard the gunshots and take shelter in a local bar. «We’re all shaken up,» he said. «Everyone was shouting, everyone was running, running, afraid,» said one eyewitness who’d seen the gunman shooting randomly. Thai media have named Anupong Suebsamarn, 45, as one of the dead. He is believed to have been on holiday with his wife. Not much else is known yet, apart from the fact no children were hurt and one soldier was slightly injured by a ricocheting bullet.